Draw attention to your open houses! Eye-catching movement - our pennant flags are designed to flutter in the wind. The image below is to illustrate the color, Logo or text on the flag. They are not rigid. No tools necessary for assembly. 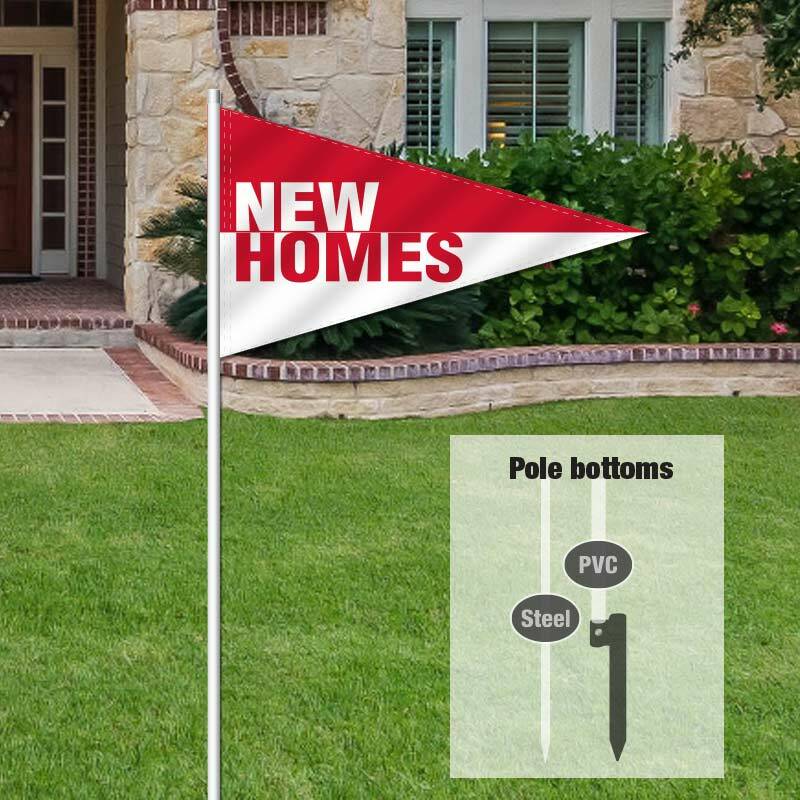 Choose tall poles for free standing use and half height poles for addition to your a-frame open house signs. 70" high metal pole for stand alone use $3.00 ea. 67" high PVC pole for stand alone use $3.00 ea.